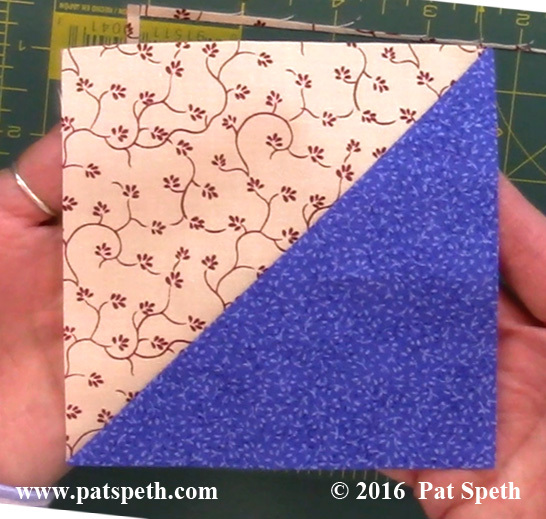 I uploaded to YouTube a video showing a fun new block design using half square triangles. And here is the block! 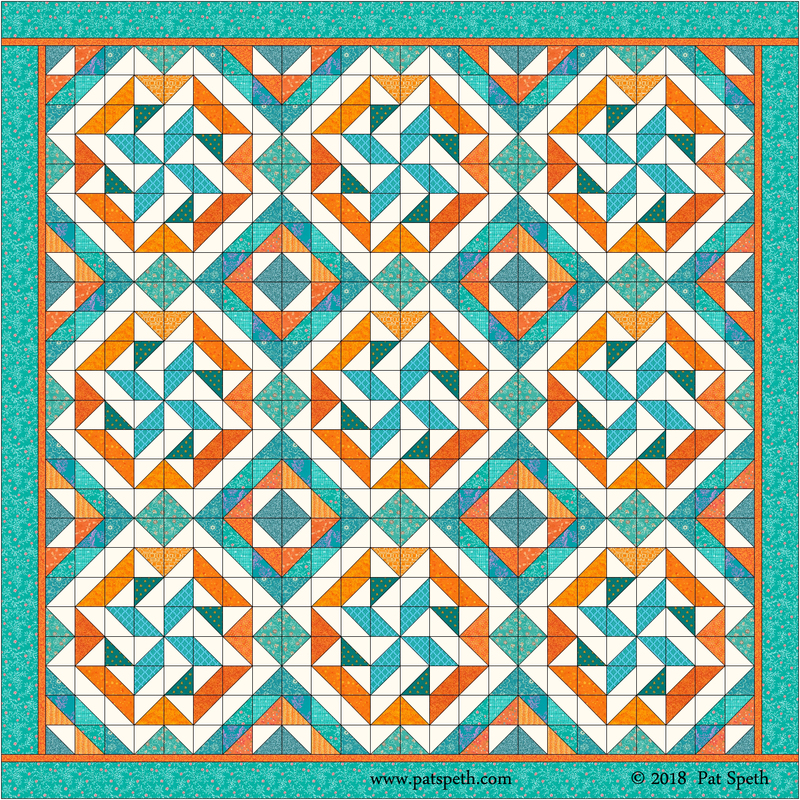 The block could be made in many sizes and for quilters who love to work with 5″ squares this block would measure 32″ if you were to make the half square triangles using 5″ squares. I started with half square triangles arranged into groups of four. Grouped those four units into a block section. Duplicated that block section and placed those sections into a block giving each section a 90° turn. 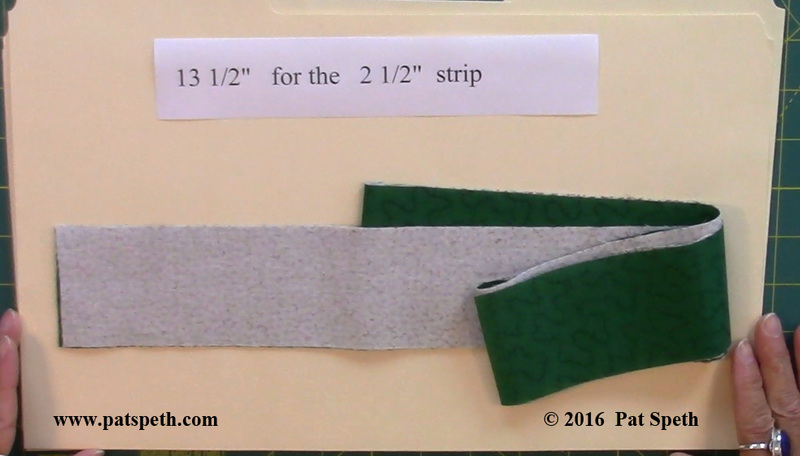 Now the 32″ size is just one size of block you could make but you could scale it back to smaller sizes or even make it bigger. 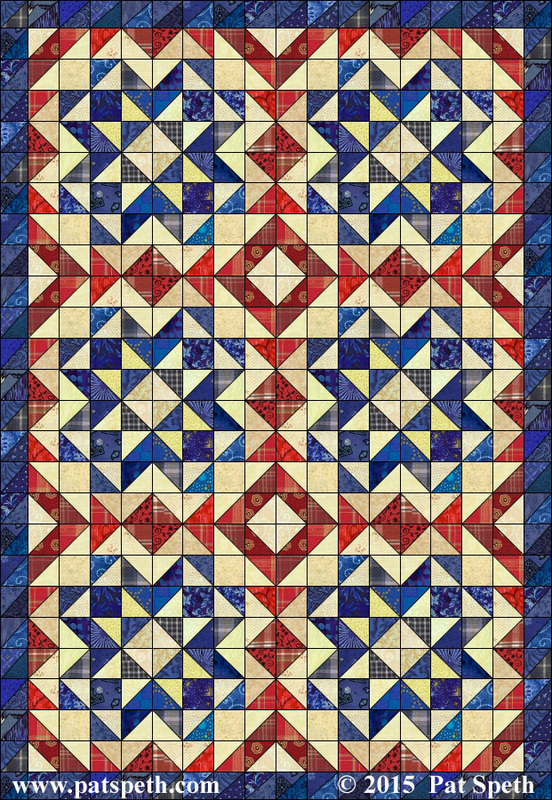 Below is an idea of what the 32″ block would look like in a king size quilt. 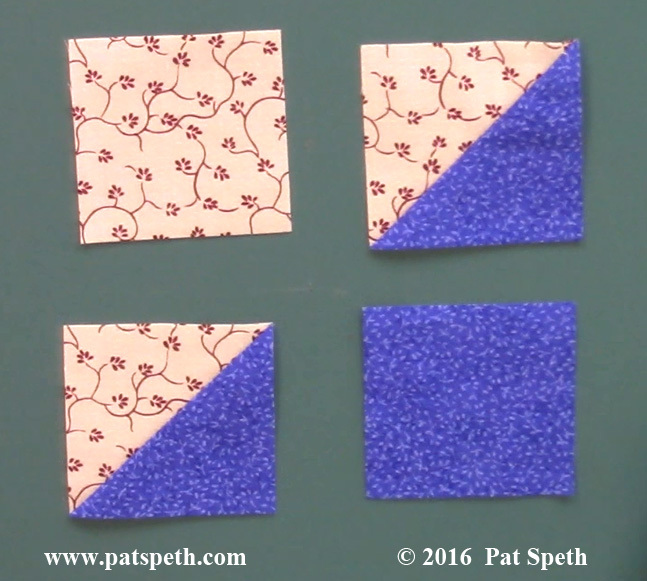 I have shown additional quilt sizes using the different block size options in my YouTube video. Please subscribe to my YouTube channel. Thanks! I am also continuing a free pattern offer: When you purchase a book from my website you can receive a free pattern of your choice from any of my published patterns (retail value $10 or less) . Write the name of the pattern in the “Inscription Area” next to your book selection. One free pattern per book purchased. 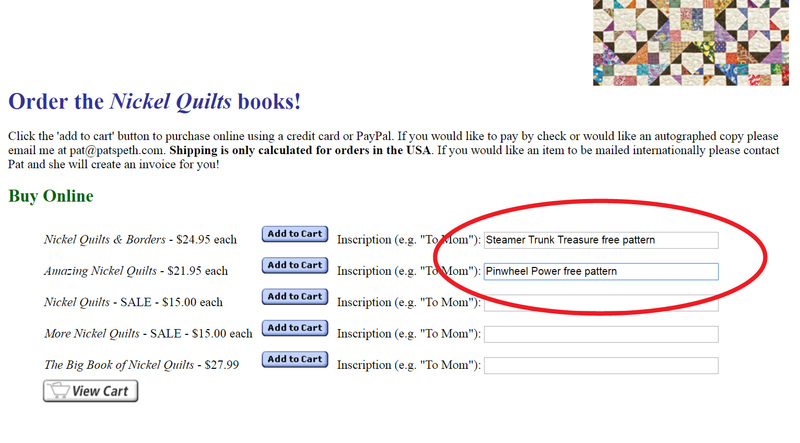 Yes if you purchase more than one book you may select a free pattern for each book purchased! 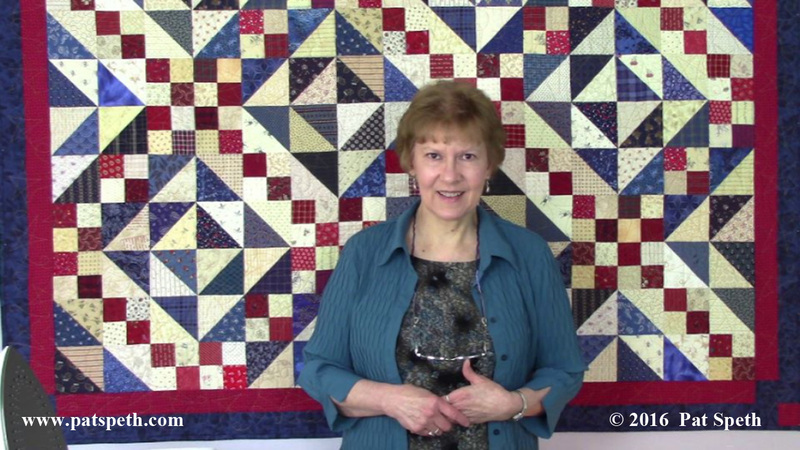 I uploaded a video to YouTube introducing a quilt project I am working on. 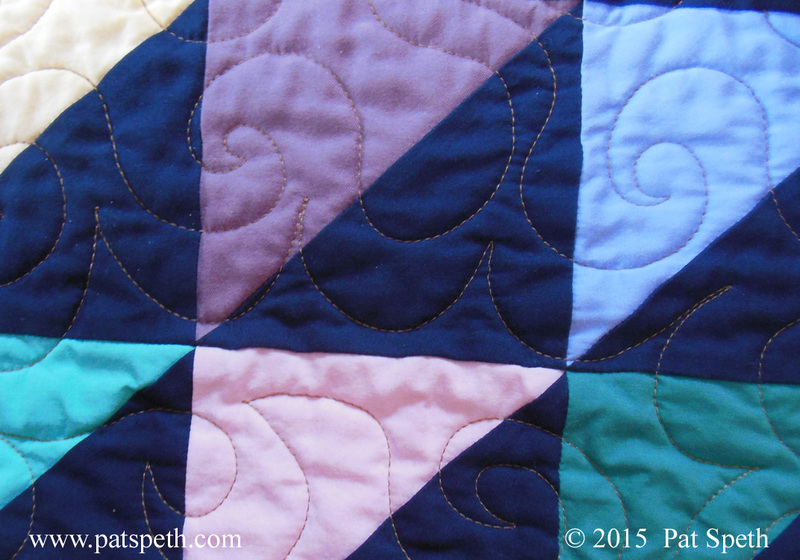 I call it Catch A Wave and it is my version of the classic Ocean Waves quilt. I have always loved the Ocean Wave quilts and I had 2 1/2″ strips that were calling to me so I have started on this quilt. Limiting my palette of colors to just blues, greens, and the shades in between. 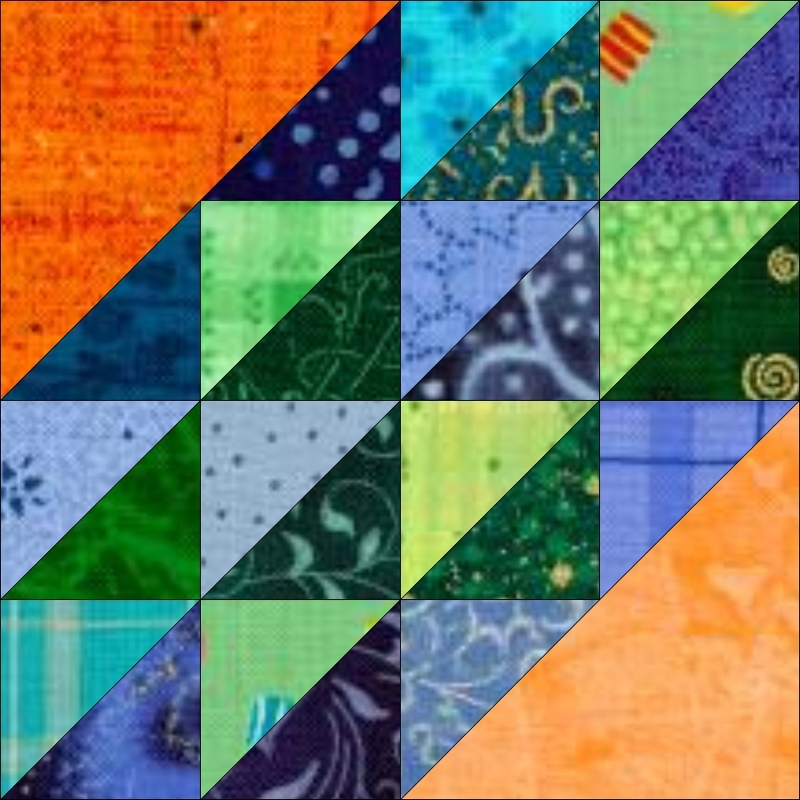 The quilt image shown below is the lap size. 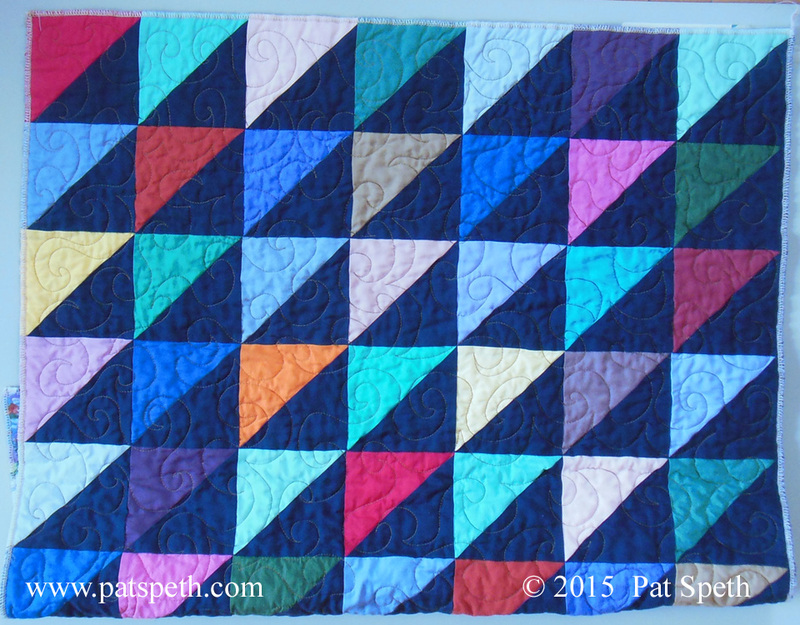 The block is an 8″ block made up of triangles in two different sizes. Ten 2 1/2″ half square triangle units in each block as well as four more 2 1/2″ half square triangles and two 4 1/2″ half square triangles. I’m using different shades of orange on the opposite corners to add some sparkle to the quilt and to help hide my less than stellar machine quilting abilities. 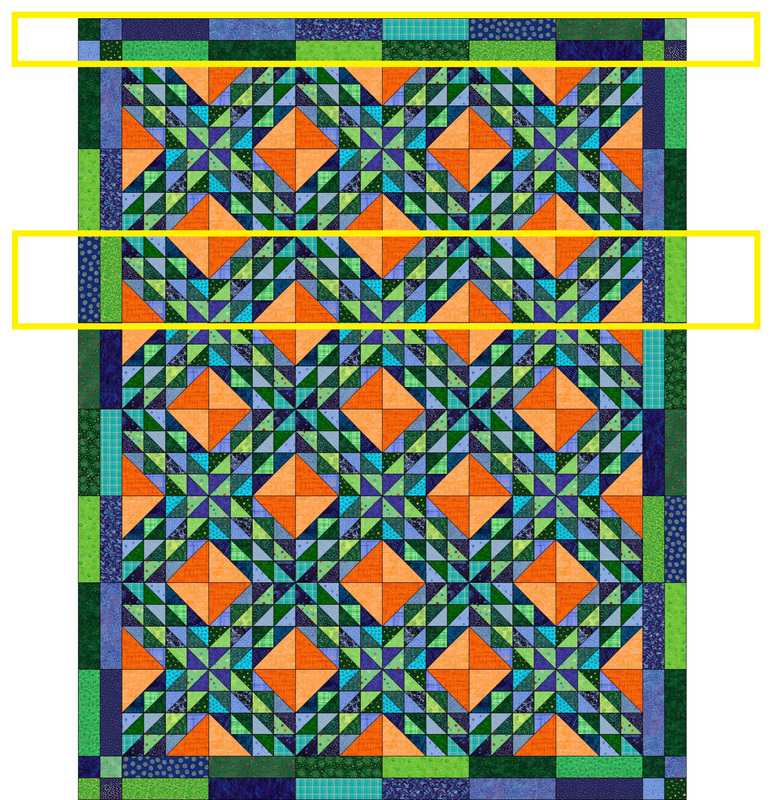 The simple pieced border blocks I selected for this quilt are the same size in length as the main block which allows me to sew the border blocks to the quilt blocks during the row assembly. I love this construction method! 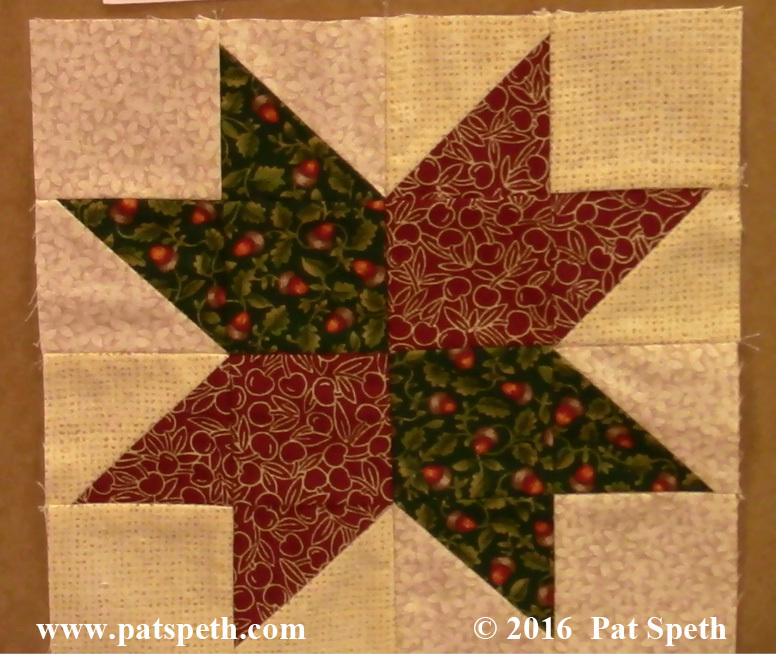 I uploaded a video to YouTube showing how to make the Star Block in my Star and Crown quilt. 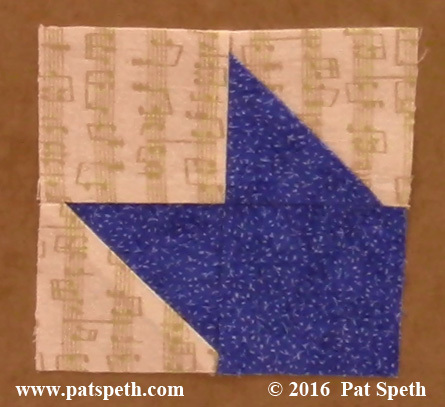 Starting with 5″ squares; one blue and one background and turning them into half-square-triangles. And then the magic begins! Sub cutting the half-square-triangles into 2 1/4″ pieces to play and design with. I refer to these pieces as “Small Wonders”. Arrange them into star points. 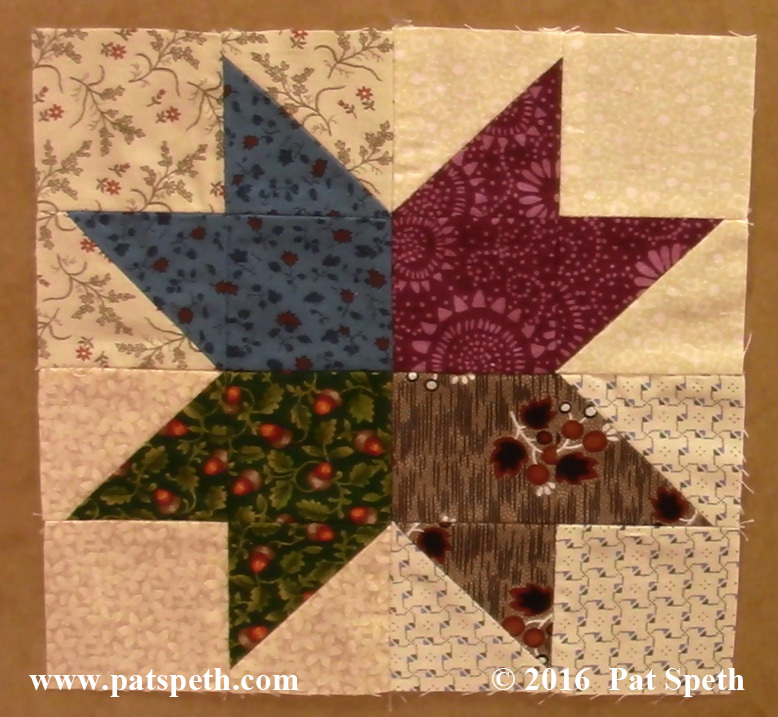 And sew together to form 1/4 of the star block. 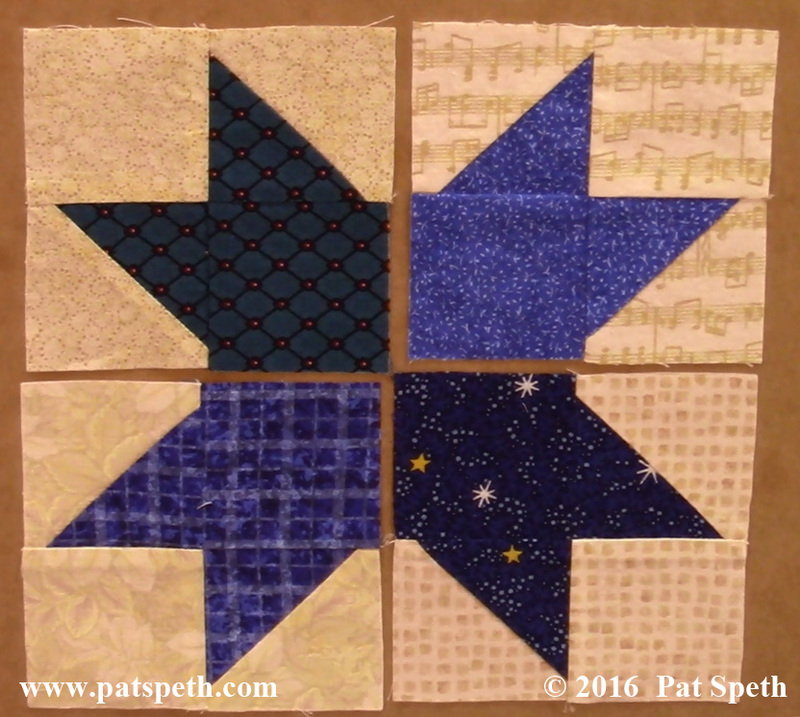 Select four star points and sew together into the block. Besides the one main fabric color version I used for my block, it’s also fun to make it scrappier! 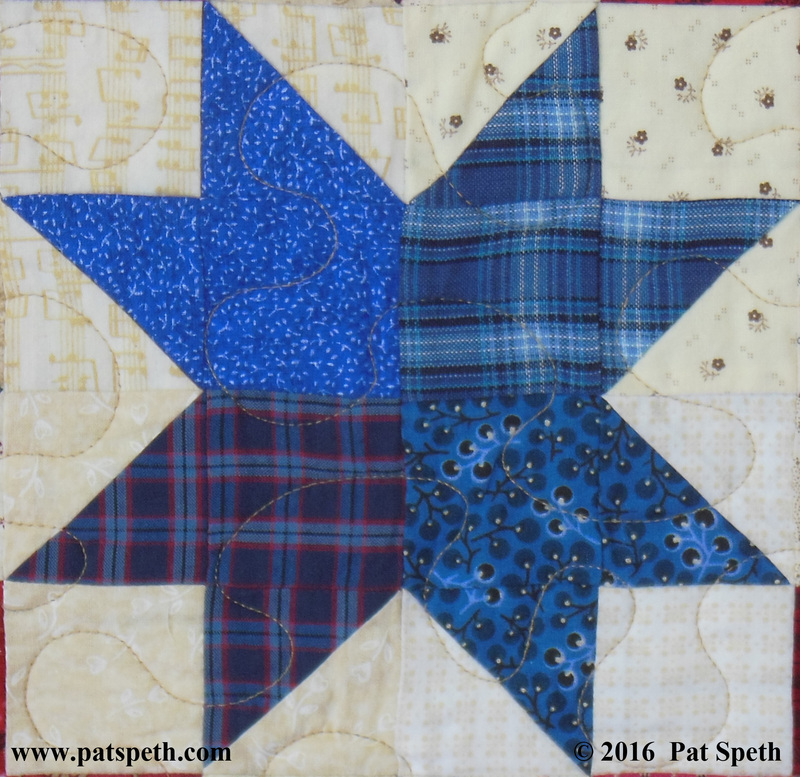 I hope this has inspired some of you to dig into your stash, cut some 5″ squares, and make this Star and Crown quilt! 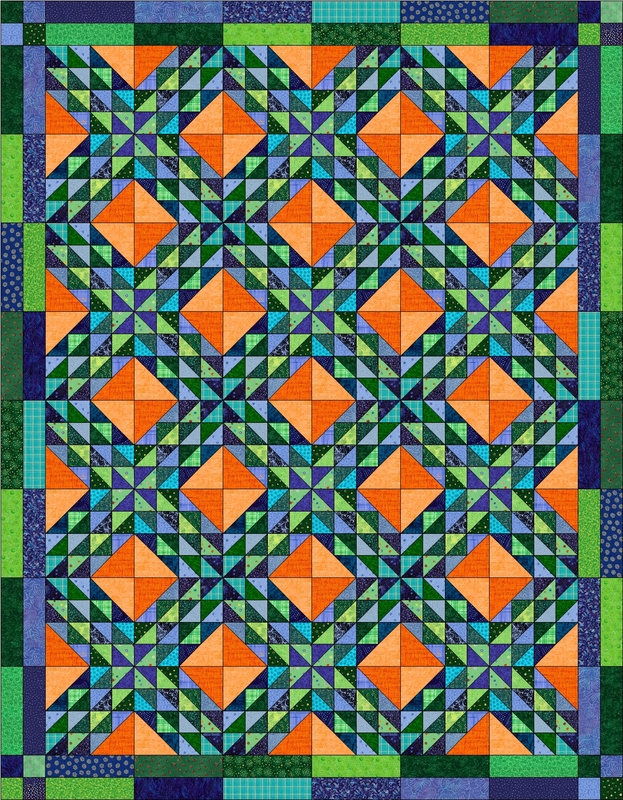 I uploaded a video to YouTube showing how to make the block I used in my Dawn to Dusk quilt; it is a variation on the Northwind Block. The quilt is in my More Nickel Quilts book as well as The Big Book of Nickel Quilts. 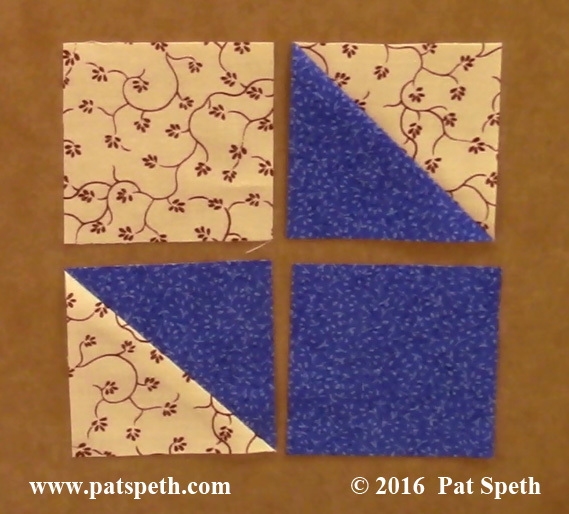 This block is so simple, is fast to make, and has many design possibilities. To me it reads like a Log Cabin block, half light and half dark. A person could play around with this block for hours arranging it in all those great Log Cabin block designs we has seen over the years. And we can make it from 5″ squares or 2 1/2″ strips! This would also be a good block to use Charm Packs on; working with two identical Charm Packs so that you have pairs of dark and light squares. When making the sample block for the video I feel in love with this block all over again. 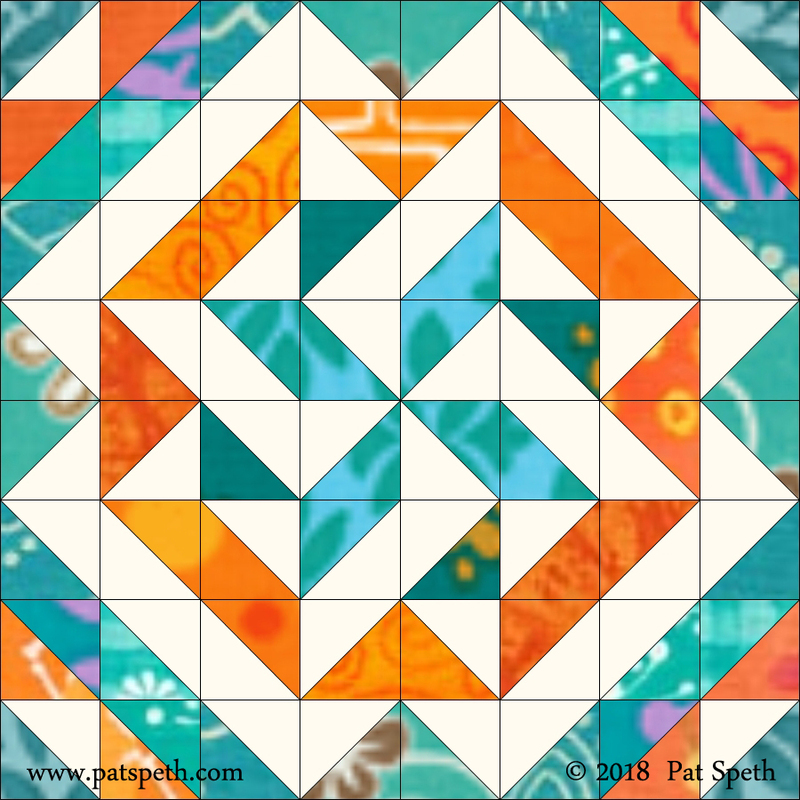 People often ask which of my quilts is my favorite, and I always say, “It’s the one I currently working on!” Now I might have to add to that, also the one I just demoed on YouTube! With this video I also continue a free pattern offer: When you purchase a book from my website you can receive a free pattern of your choice from any of my published patterns (retail value $10 or less) . My First YouTube Quilt Tutorial! I’ve just uploaded my very first YouTube video! Setting up and getting ready to start filming for YouTube tutorials has been an adventure! First trying to find a place in my smaller old house to film was challenging, all my rooms were already in use and filled with quilting stuff. I’m using a spare bedroom that was used as quilt storage, fabric storage, and my cutting room. The bedroom is small only, 9′ x 11″ and the only wall I could use to put sturdy design walls on to hold the demo quilts has a closet door with molding that protrudes 2″ from the wall. So I had to devise and build design walls that stick out 2″ from the wall but are still attach to the wall and are removable. 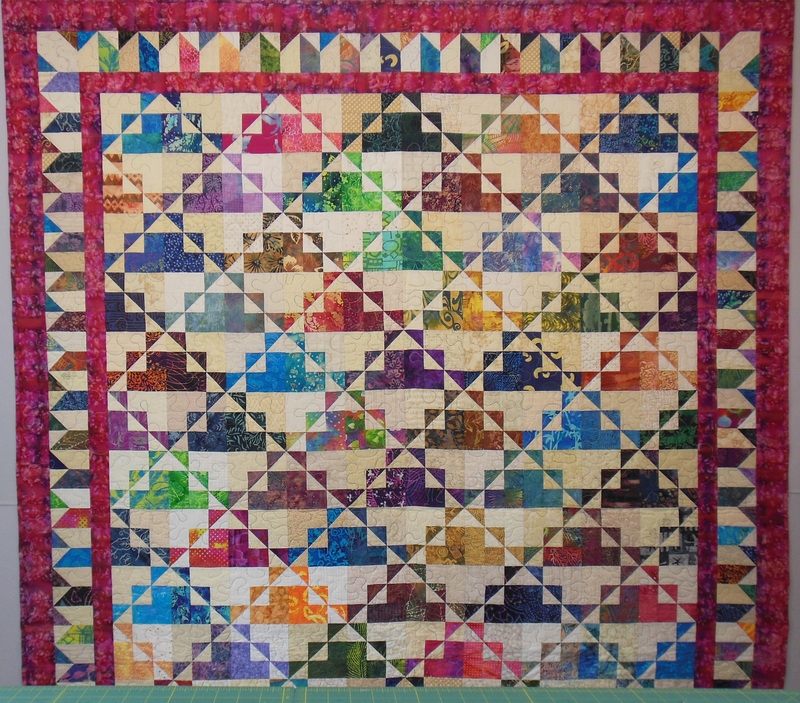 I like the way I’m able to pin the quilts to the design wall and have them lay so nice and flat. 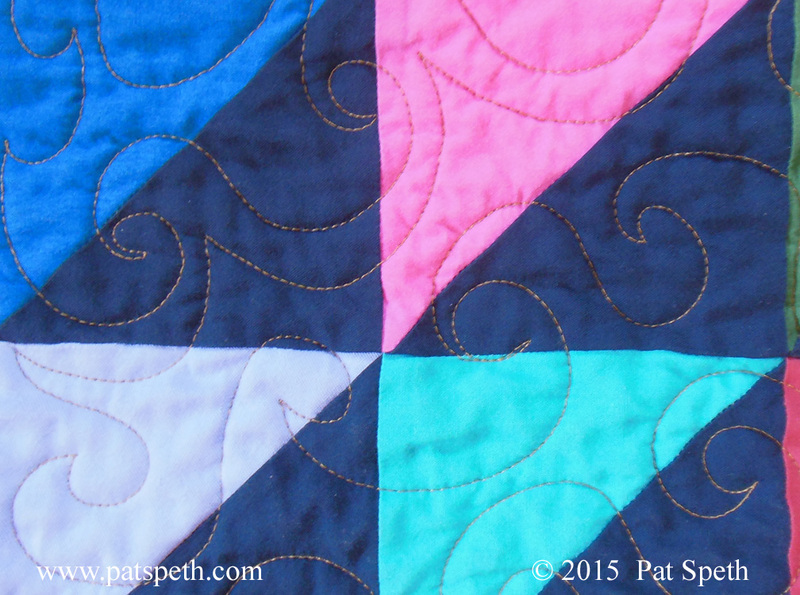 This could also be used to photograph my smaller quilts for pattern and book images. I purchased a set of photographer’s lights, and they seem to be working pretty good. I also purchase two camcorders; one for front filming and one for my sky cam so that I don’t have to reposition the camcorder every time I want the viewers to see what I’m demoing on the table. Then there’s the video editing software, I purchased Corel VideoStudio after doing some research for user friendly software. I’m slowly learning what this software is able to do and allowing myself to enjoy the process. There is room for improvement on this first tutorial of mine but it will be fun to see how much better (that’s the plan) I become over the next year. 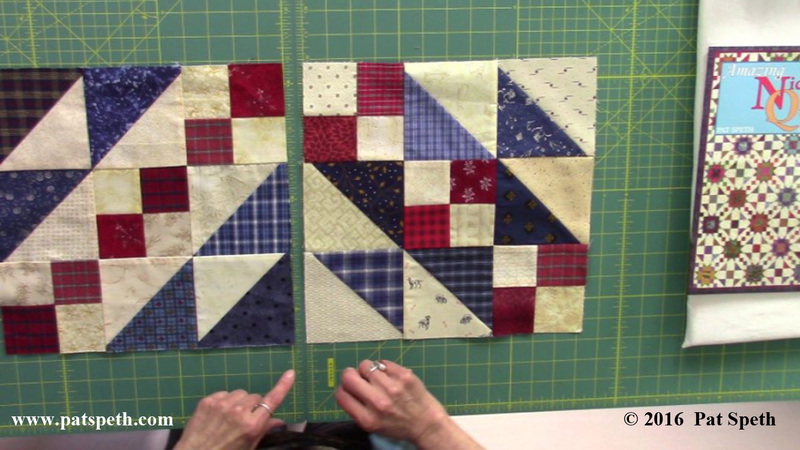 Please feel free to share the video link with any of your friends and quilting groups that you belong to. This is my Moose County Star quilt which I love to make; I’ve made it four times! 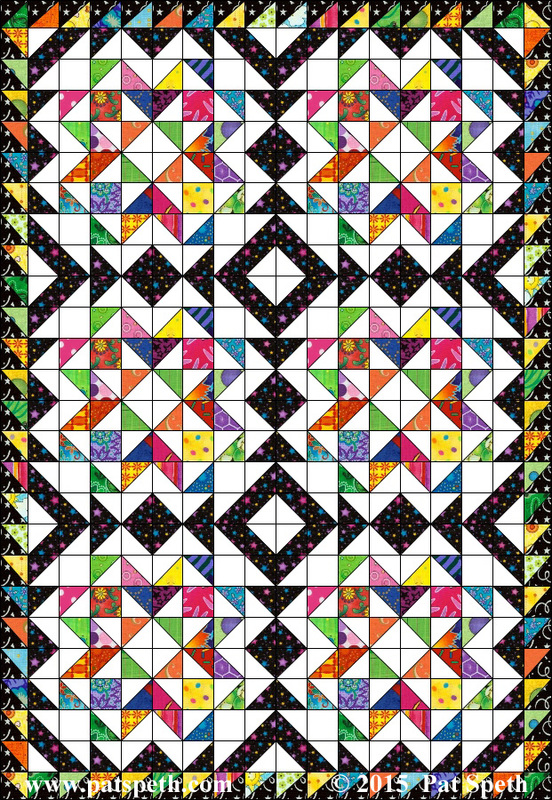 Once as the twin size shown and three times as a lap size quilt. I do realize that not everyone likes the “Lodge Look” as much as I do so I played around with a couple of other fabric choices in EQ6. I always have fun switching a lodge look quilt into bright and bold. Replacing the cream and light tan fabrics with white, replacing the gold fabric with a black print. Red, cream, blue is always a popular fabric style. Still using creams and light tans and the background fabric but now controlling the other colors and using a variety of blues and reds in prints and plaids. 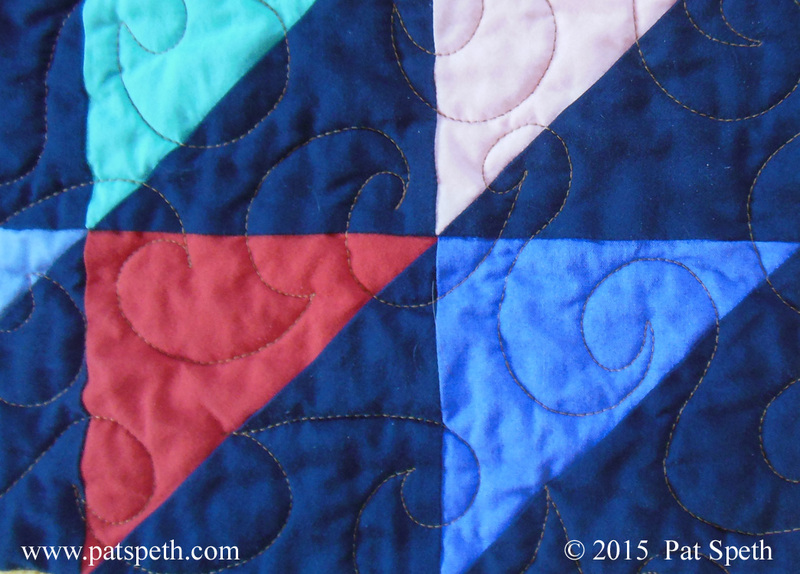 The construction on this quilt is so fun and easy! 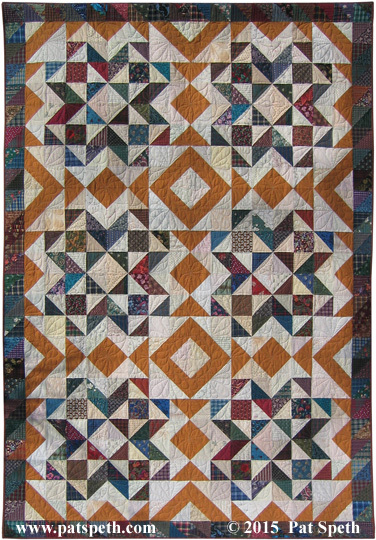 First it’s all half-square-triangle units made from 5″ squares or plain squares, and second the pieced border is sewn onto the blocks before the rows are sewn together. 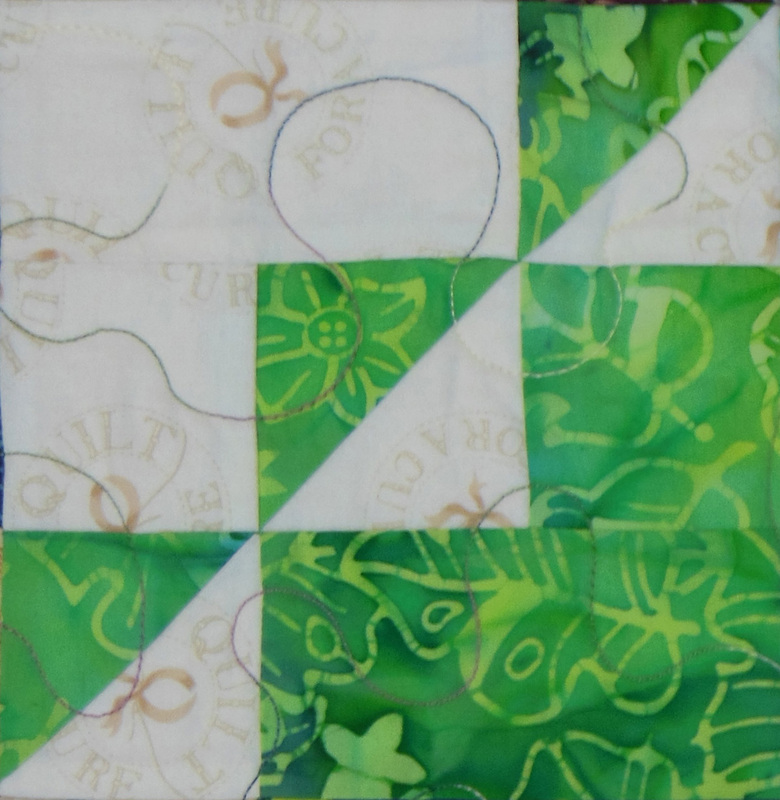 The only time you have to sew something all the way around the edge of the quilt is when you are adding on the binding! Moose County Star is one of my individual patterns, in three sizes, and is available on my website. 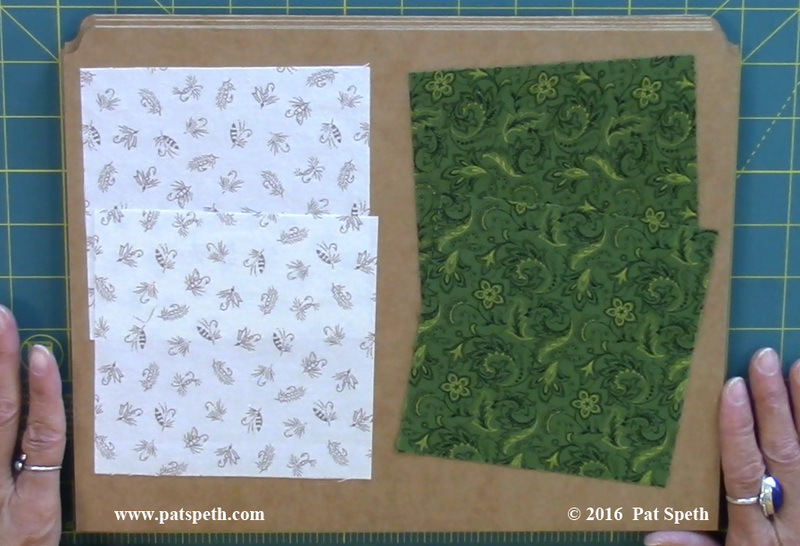 Have fun playing with different fabric choices! This pattern/design is for your personal, non-commercial use only. You are not allowed to mass produce this information. The test quilt made from sheets has been tumbled and pummeled in fourteen dryer loads so far and is looking great! The sheets used are 100% cotton. I’ve included a few close ups below where you can see that there is no sign of fraying due to thread breakage on the high thread count sheets. I’ll continue to add the test quilt to dryer loads to see what the results are after 25 or 50 loads but I’m happy enough with these results that I’ll continue to experiment with adding the solids from sheets to future quilting projects. 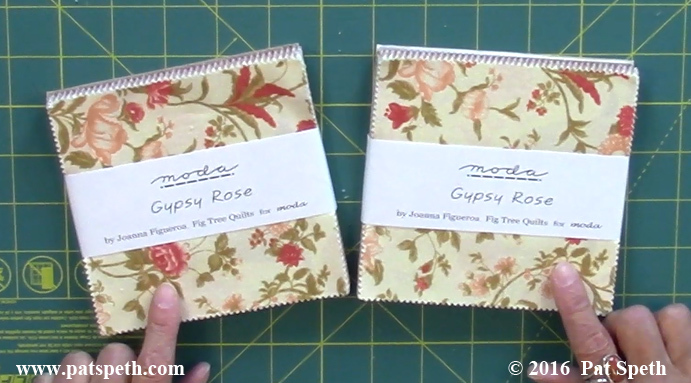 Besides quilts for your own use this might be a nice option for material used in charity quilts. I know when I’m at guild meetings across the country I often hear requests from the Charity Quilt Committees for donations of fabrics, especially for backs.